Rewind: How Deep House Can Synthpop Be? Finn Johannsen has a knack for identifying obscure interview subjects with encyclopedic musical knowledge. For example, in November he spoke with dedicated vintage-house digger blogger Aiden D’Araujo, and his latest Rewind column features one of D’Araujo’s fellow contributors to the Ransom Note:Truly-Madly (AKA Michael Joyce). A part-time DJ since the late ’80s, Joyce got his education at Liverpool’s seminal nightclub Quadrant Park and is widely recognized as one of the most knowledgeable collectors of all things “deep”—just check out his SoundCloud for proof. He also hosts his own transmission on the online radio station Estimulo Show and has DJed alongside house figureheads Terry Farley, DJ Harvey and Marshall Jefferson. 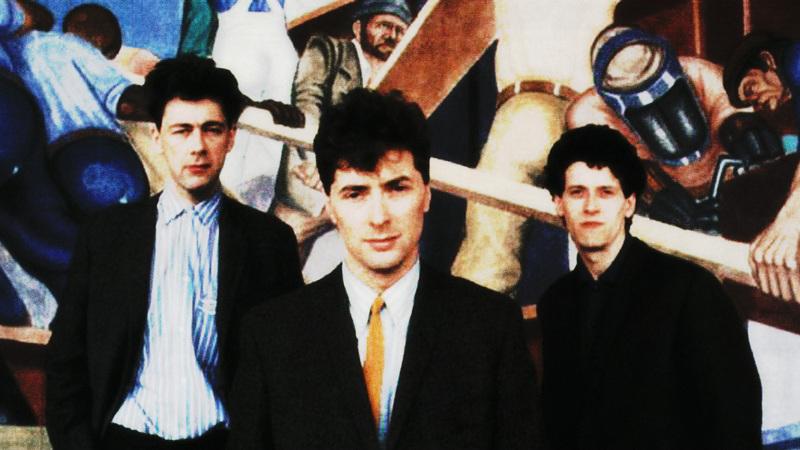 In this latest edition of Rewind, Joyce describes why Scottish pop band The Blue Nile’s Hats album made such a strong impression on him as a kid—and how “deep” has become a dirty word. How did you come across Hats for the first time? In my early teens I was quite nerdily into hi-fi—and [my obsession] didn’t stop there, to be honest. There would always be a copy of What Hi-Fi [magazine] knocking about, covered in drooled saliva at the valve amp page. The magazine had a small music reviews section, and I don’t recall usually paying much attention to it, but for some reason I read the entry for Hats. I don’t remember what it said, but something in it must have appealed to my inner angst at that time. Surely the word “melancholy” was used. I bought [the cassette] blindly. At that time, I was listening to bits of everything—early house, synth pop, indie—and I was buying vinyl but had this odd mental divide that meant I would buy albums on cassette and singles on 12”. And actually, I only bought Hats on vinyl fairly recently—random find at Rough Trade Portobello in London. Why did you choose to talk about Hats for this interview? What are its special credentials for you? It would probably be too difficult to choose a house or techno album, which might be the natural thing to do, and this was the first that came to mind otherwise. I still think it’s quite obscure in a way, despite being part of the mainstream, and seemingly more popular than I realized. My first encounter with The Blue Nile was probably hearing “Tinseltown In The Rain” on the radio. That track was from their first album, A Walk Across The Rooftops, which was released in 1983. Do you like that as well? I like all The Blue Nile’s stuff but don’t remember anything pre-Hats. I now know that “Tinseltown” was some kind of hit but don’t directly recall it from the radio. But occasionally I’ll hear it in a cab or something and think there is more to it than simply having listened to it from the album—that maybe I did hear it around the time it came out. That first album and Hats are the best ones for me. For me, the way that the electronic music of the synthpop era and beyond is so often paired with very charismatic lead voices is a topic worthy of thorough academic research. Is this only for contrast, or is there more to it? How would you rate The Blue Nile’s Paul Buchanan in comparison to other singers of that era? Well, I think his voice is quite unique and instantly recognizable. I also think when he sings it’s heartfelt and kind of believable, knowing a bit about him. His personality is reflected in the music and lyrics, maybe more so than most. The album is quite introspective and poignant. Where did all the melancholia in synthpop come from? Was it just a sign of the times? I think this is next-level introspection and reflection, and not necessarily representative of a lot of other synthpop stuff. I’ve never really connected it that way, at least. The whole album has an air of impending doom and hopelessness but is also tinged with some kind of blurred optimism. In simple terms, it’s that happy/sad thing that attracts me to a lot of music. The situations and experiences it describes—you kind of want to be there, even though you know it wouldn’t end well. I think that’s why it’s always appealed to me; [that’s] how my life has been in a lot of ways. The Blue Nile is a rare example of me taking note of lyrics. There are songs I’ve listened to a thousand times, but I still couldn’t tell you the words and they’ve never registered. I don’t agree with the convention that lyrics enhance music and vice versa. If you’ve got something to say, write a poem. Words are processed in a different part of the brain to music, and they are processed more quickly—so effectively, if you’re listening to the lyrics you’re being told how to feel about the music. Note that I am not backing this up with links to scientific studies. Anyway, The Blue Nile escaped my purist tendencies somehow. Apparently the band struggled a quite bit to complete Hats. They worked on it from 1985 until it finally came out in 1989. By then the musical landscape had changed quite dramatically, and the classical synthpop of the early ‘80s was fading from the charts and particularly the clubs. Is this album oblivious to these developments, or did they find their way in? I’ve never really seen it as connected to any kind of scene, to be honest. It’s not the type of stuff that would be played in clubs, apart from somewhere really obscure, maybe. But I only started going to clubs at the end of the ‘80s, and it was pretty much all house and techno where I was by then. I mainly missed the years synthpop was played in clubs. I can’t imagine anything from Hats filling the dance floor, but you never know. I always found it interesting that bands similar in their approach to pop, like Prefab Sprout or It’s Immaterial, made music that didn’t necessarily make you think of clubs, but in the UK they found their way into according contexts nonetheless. Where did that phenomenon come from? Prefab Sprout and especially It’s Immaterial seem to be a different category. I can see how their stuff would be big in the clubs; it’s a lot more upbeat. I don’t want to be too categorical about what you can and can’t dance to—maybe it’s the way and the time in my life that I came across Hats—but I’ve never associated it with dance music or clubs. I am going to have a dance to it soon, though. In my house. You try it too, Finn. “From A Late Night Train,” perhaps, and we can compare notes. Actually I can see this as a new scene. Start thinking of names. Sorry for bringing it up, but I will probably never get over that you once claimed that the Dire Straits album Brothers In Arms is deep house. Even if you were only half serious, how deep house does that make Hats? No problem bringing that up. It’s an eternal truth (with the omission of the heinous “Walk Of Life” and equally terrible “Money For Nothing”). I think you finally agreed, didn’t you? It preceded Fingers Inc., Another Side by a matter of months as the first deep house album ever. “Deep” seems to have become a dirty word recently, mainly because of all the derivative and formulaic shithouse taking over the term. But we’ve been describing stuff as deep since the ‘80s, and to me, it still describes a very personal take on something. So yeah, Hats is well more deep house than most of the latest fodder, and I think the production is really important in that. Callum Malcolm has to take credit for that, and the gear he used—capturing the mood, atmosphere, space, all that use of heavy reverb but never too much—is perfect for their sparse stuff. So actually, it’s good minimal techno as well as deep house. Could there ever be another album by the band as good as this, or is it over and done with? Of course the music connection with memory is hard to shake, so it’s impossible to have an objective view—and it should be that way. Because that album has been with me for so long and has soundtracked different parts of my life, and because it’s connected to growing up and all that goes with that, I don’t think anything the band could do would resonate like Hats. I do like the albums after Hats, but the direction seemed to be at odds with the reasons I was into the first albums. I’m not sure it was a conscious effort to try and make it less introspective and more upbeat, or maybe the problems they were having eased; the title Peace At Last would suggest that, that album even sounds influenced by gospel in places to me. So no, Hats was a time and a place and it just stuck. I don’t think it will be repeated, although I’d love it if they did. Read past Rewind columns with rRoxymore, Call Super and more.